We have recently been appointed to provide architectural and interior design services for a refurbishment of the main entrance lobby and restaurant at a well known hotel in the town of Immingham in North East Lincolnshire. 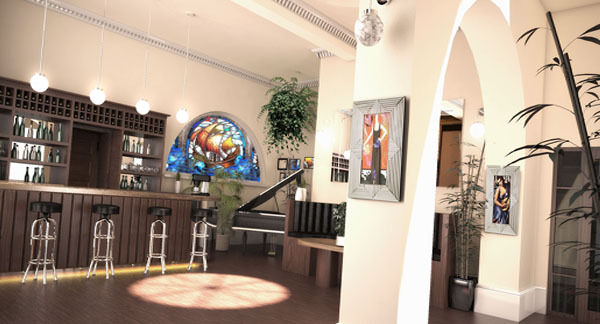 The above 3D visual will hopefully provide a good indication of how the entrance lobby bar will look on completion. More to follow….